As your go-to i-everything service, we are excited to start supporting your Apple Watch. 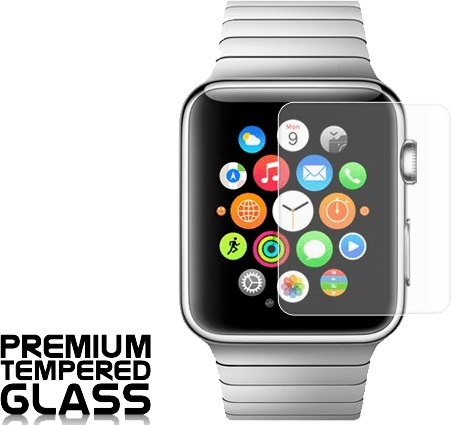 Whether you need your Apple watch screen replaced or need help setting up your Apple Watch for the first time, we are ready to help! Don’t lose any more time integrating your Apple Watch into your Apple ecosystem! Why don’t I just go to Apple to repair my Apple watch? Go to the Genius Bar or not? That is the question. If you paid $49 upfront for AppleCare+ and don’t mind paying $69 on top of that, then Apple is the choice for you. But wait! Yes, wait is the choice word here. There is a definite wait for your Apple Watch service. Being that the Apple Watch is short on supplies, don’t expect a same-day turn-around or even an ETA on when it may be fixed at all. If you don’t have AppleCare+ or know you didn’t pay an extra beyond the watch cost, then you’re deemed out of warranty. A broken screen will set you back almost the same price you paid for with the Sport model, the steel watch, and the gold edition. You also have to worry about the wait time on repairs at Apple. How can I prevent my Apple Watch glass from breaking or cracking? Buy a tempered glass! We sell them for $10 apiece. For $10, you can save a lot of money and headaches in the long-run. No, the tempered glass won’t prevent every crack. For instance, if you decide to run your watch over with your car or throw it hard on the pavement, you may be out of luck. But, we see most typical drops you will be shielded from with this tempered glass. Hey, it beats paying for a new glass or waiting for Apple to have parts in stock for this.